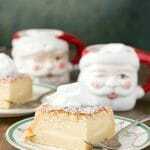 Home » Holiday » Christmas » Eggnog Pie: The Holiday Party Pie! This Eggnog Pie shot to the top of my ‘Favorite Holiday Dessert’ list with the first bite. No joke. The holidays are earmarked with specific flavors that are only enjoyed at that time of year; eggnog is certainly an anchor for that. The first true taste of the season for me has to be a gently heated mug of eggnog with some rum. Its soul-warming familiarity ushers in the spirit we all so love at this time of year. 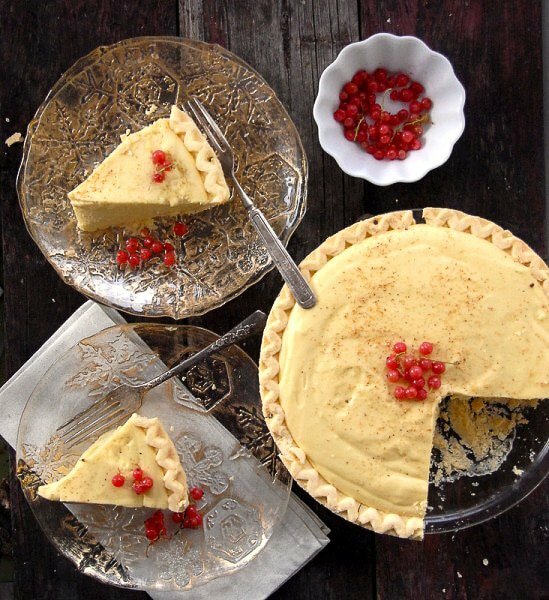 If you like eggnog, you’ll love this pie. With a rich custard filling of freshly made eggnog and rum, the pie offers a silky, elegant taste of the season in a new form. 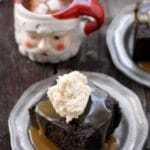 The flavors are full and sophisticated, the texture creamy; it tastes like a holiday party. 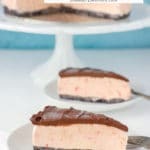 Whether for a one or two, or a large gathering, I feel sure you too will find yourself making this pie more than once! As you enter this last weekend before Christmas, may you be enveloped by the flavors and people you love! 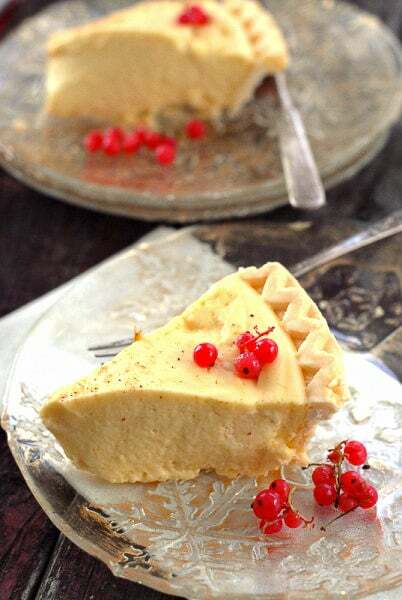 This creamy, custard pie boasts the quintessential holiday flavors of rummy eggnog, sure to elevate any holiday meal or gathering with a sophisticated, elegant flair. Beat egg yolks until light (a few minutes). Gradually beat in sugar until combined. In a small saucepan over low heat, combine the warm water and gelatin. Whisk until the gelatin has fully dissolved. Pour the gelatin mixture slowly into the egg-sugar mixture, beating on low the entire time to fully combine. Allow to cool. Once the mixture is cool, add rum, stirring or beating on low to combine. In a separate bowl, beat the whipping cream until stiff peaks form. Fold into the eggnog mixture to fully combine. Pour filling into prepared pie shell. Chill in refrigerator for several hours or overnight. Garnish with freshly grated nutmeg. You can use dark or light rum, whichever you prefer. Just a quick question. If I want to make this for a person that can’t have Rum (alcohol) what would you suggest to replace the liquid with? I am anxious to make one of each.. Thank you and have a Merry Christmas. Unfortunately Sondra the rum is integral to the pie tasting like eggnog and I’ve only made it as indicated in the recipe. You could try to swap the 1/2 cup rum with additional cream and some rum extract (which would not have the alcohol but would lend the flavor) or maybe some prepared (store bought) eggnog. I think you’ll just have to experiment! Wishing you good luck and if you land on a winning combination without rum do let me know! Happy Holidays. The pie is a perfect holiday treat! Merry Christmas to you too Angie! It’s been another year enjoying your beautiful food. Looking forward to more in 2013! This pie should be served at every Holiday party! WOW! I want! And it’s gorgeous! Come on over Kate; happy to share a piece with you! It really is a perfect celebration pie. Thank you for your kind comment. Happy Holidays! Oooh, great recipe! 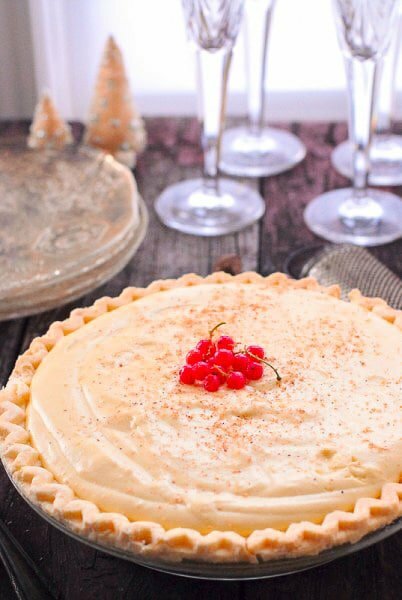 My love loves eggnog — I’ll have to surprise her with this pie! Good stuff — thanks. Freudian slip. And a lovely one John! I think you SHOULD make your love this pie I KNOW she’ll l0ve! 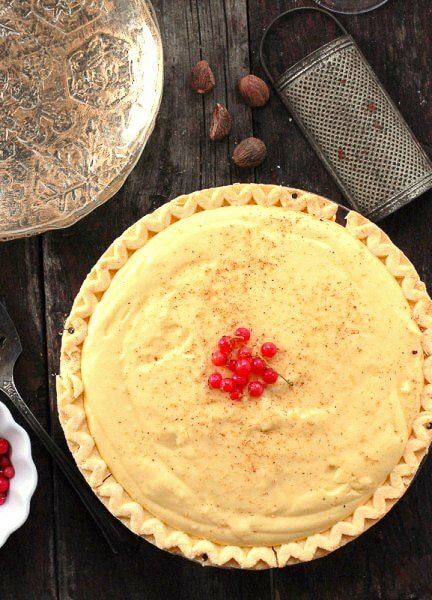 It’s a beautiful pie for one who loves eggnog and rum. Best holiday wishes to you and your love! I’m tempted Toni. Can a non baker like me easily make this? The only actual baking aspect is the pie crust and you can use a premade pie crust. Follow the instructions to pre-bake the crust and be sure it is cool before filling it. 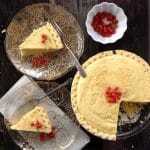 The custard filling is very simple; I can’t imagine you’d have any difficulty with it. 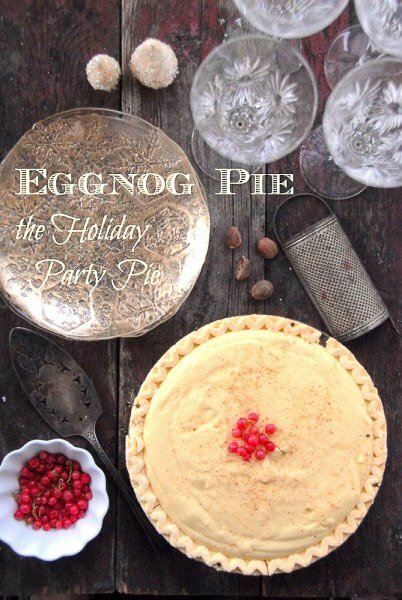 I’m not much of an eggnog lover, but this pie looks so good! One thing I’ve found about eggnog is that it can be too rich, making me feel full after about 1/4 cup. This was rich but not fatty if that makes sense. I’m sure the rum helps but it really was perfect to me! This looks TOO fantastic…I think I’ll make it for our Christmas Eve dessert! You won’t be disappointed Winnie! Had I not just made it I would be doing the same. If we finish it I might have to make another for Christmas! Toni, wow. There is nothing about that pie that doesn’t draw me in. I’d be an immediate fan with the first bite too! And, since I think I have all the ingredients, I might be making this really, really soon! I hope you will! It’s so simple and tastes really elegant. I truly fell in love first bite. This looks soooo good. I haven’t had eggnog pie in ages and just love it. I plan to try to your recipe using one of my low-carb crusts and artificial sweetener so I can have this next week. Can’t wait! Oh I hope you’ll come back and share how it turned out! I used a gluten free crust and it was perfection. Happy Holidays! If I had’t already bought a lot of pacans for Christmas Eve, this would rocket to the top of my dessert list for this year. Looks great. 2013!?!?! ?